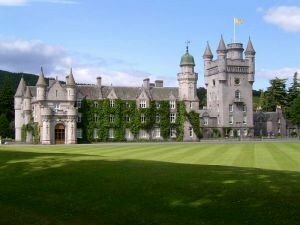 Located in Aberdeenshire, west of Aberdeen, and eight miles west of the town of Ballater, lies Balmoral Castle, favourite holiday home and summer retreat of the British Royal family, since Queen Victoria fell in love with the place in 1848. 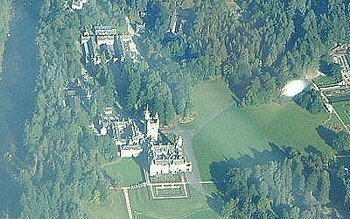 Balmoral Castle is not only a beautiful castle in the Scottish baronial style, but as estate agents everywhere would tell you, it's all about location, location... you know the rest..and what a location Royal Deeside is! Even if you never set foot inside the castle, (and you can between late April and the end of July), the countryside itself deserves much more than passing visit. Deeside, on the side of the River Dee, has not only superb scenery, but this little corner of heaven also has the pretty village of Braemar, nearby Braemar Castle and the Royal church, where Princess Anne was married, called Crathie Kirk. Balmoral has a long history of noble and royal connections and the estate passed through the hands of King Robert II(1316 - 1390) for one, who had a hunting lodge in the area. Earl Huntley possessed it in the 15th century and from 1662 it belonged to the Farqhuarsons who in 1798 sold it to the 2nd Earl of Fife. Balmoral played a role in the coronation activities of King George IV in 1822 and was finally purchased by Prince Albert in 1852 when Queen Victoria declared her undying affection for the place, paying the princely sum of £30,000 to become its owner. Balmoral is now a working estate with around 100 buildings, fifty full and part time staff, with most of the latter being employed when the Royal family is in residence, usually in the summer. The Royal family have spent many summers here over the years, and Prince Charles especially is known to be very enamoured of the place. 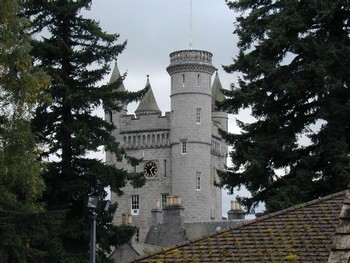 Balmoral Castle was built from local granite from the Glen Gelder quarries and the stone is near white. The estate itself encompasses about 65,000 acres some of which provides shelter for some 30,000 red deer, and a herd of 29 Highland cows. There are also grouse, as grouse-shooting has been a favourite royal sport for many years, and also rivers for salmon fishing, of which Princes Charles has been known to be very fond. 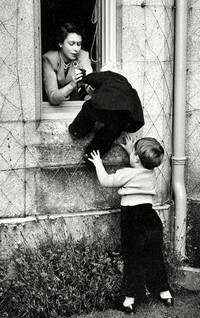 Sadly, in 1997 Queen Elizabeth was at Balmoral when she heard the news of the death of Princess Diana. 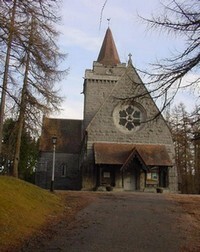 Very close to Balmoral is Crathie Kirk, the church that the Royal family have been attending since 1848. This delightful little church, also built of granite, has a roof of Scots pine. The site been a place of Christian worship since 9th century. Princess Anne, the Queen's only daughter, married her second husband Timothy Laurence here on 12th December 1992. (The south transept is reserved for the Royal family, and some of pews in the north transept for the Farquharsons, a local family of noble descent). 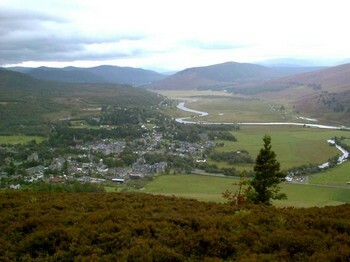 Braemar, besides being a charming little village, is also the location of the world famous Braemar Gathering which takes place every year on the first Saturday in September, and is almost always attended by some member or members of the Royal family. 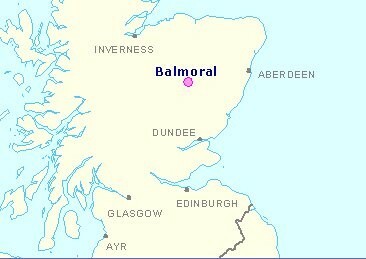 Visit www.braemargathering.org for more information, ticket prices and upcoming events. Organised by the Braemar Royal Highland Society, the Braemar Gathering has been an annual event since 1817. The Royals have been present since Queen Victoria first attended in 1848. 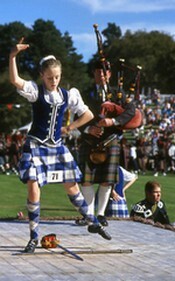 This is a cultural feast for lovers of highland dancing, bapipes, caber-tossing, and other tests of strength and daring. There is also a hill race and a tug of war.. 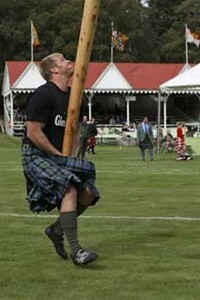 This is what caber-tossing looks like - a pursuit outsiders find hard to understand! 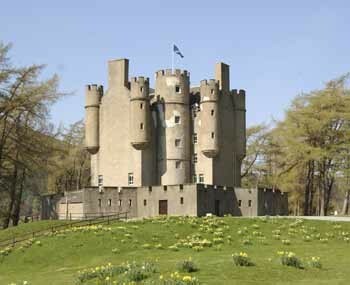 While you're in Braemar, also visit Braemar Castle. While it is not quite as grand as Balmoral, it is an intriguing 16th century castle which was used as a government garrison after the Jacobite rebellion. It is open from Easter to October.